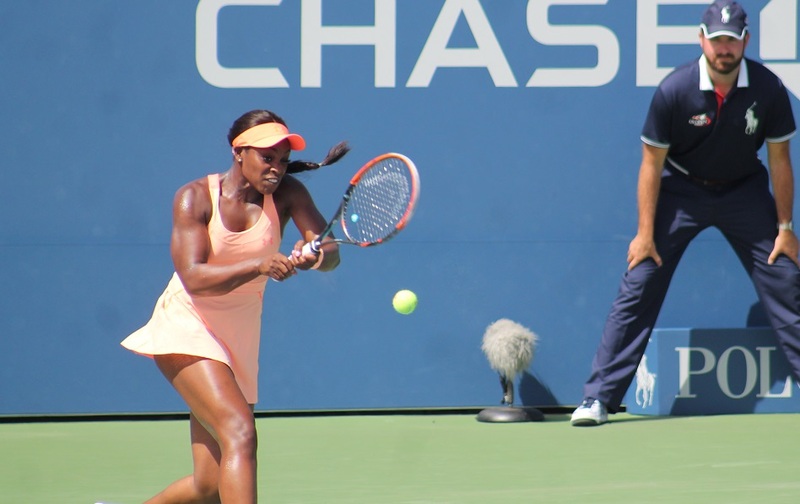 In a stark contrast from her second-round three-setter, defending champion Sloane Stephens played her best tennis from the very start of her match on Friday against Victoria Azarenka. The third-seeded American moved through to the Round of 16 of the U.S. Open with a 6-3, 6-4 victory. Stephens played a dominant first set, converting on two of three break points and saving the only one she faced to take the opener in 37 minutes. She carried that momentum into the second set, gutting out holds in her first two service games, and then breaking for a 3-1 lead. But Azarenka did not go down without a fight. She took advantage of a double-fault from Stephens on break point, and consolidated with a hold to even things at 3-3. Azarenka would break again to go up 4-3, but Stephens dug her heels in from there. The 25-year-old broke right back, and after holding serve, she broke one more time with a running forehand, emphatically pumping her arms in the air to celebrate. Stephens echoed those sentiments, that this highly-anticipated match really did come down to just a few points in crucial moments. Up next for Stephens is 15th-seeded Belgian Elise Mertens. Earlier in the day, Mertens powered past 23rd-seeded Czech Barbora Strycova, 6-3, 7-6(4). Latvia’s Anastasija Sevastova moved one step closer to reaching her third straight U.S. Open quarterfinal as she pushed into the Round of 16 with a 4-6, 6-1, 6-2 comeback win over Russian Ekaterina Makarova. Seventh-seed Elina Svitolina fought back from a break down in the second set to advance 6-4, 6-4 over Qiang Wang of China. Svitolina and Sevastova will meet for a spot in the final eight.